Battle of Waterloo egg cup. 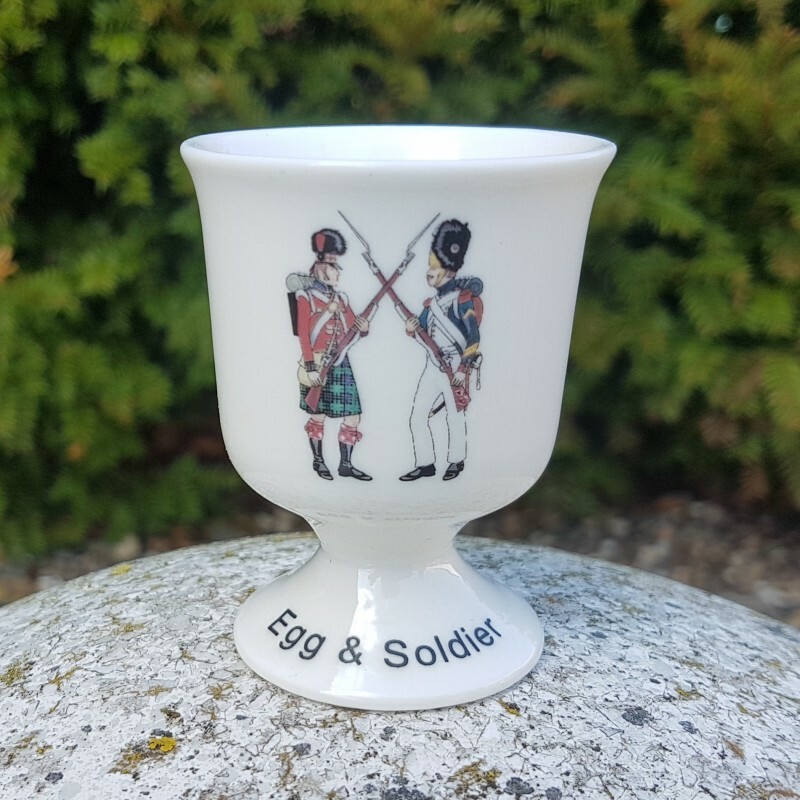 English Bone China Egg Cup with a picture of Two Napoleonic soldiers along with the catchy egg and soldier caption on the base. The soldiers are a member of the 1st Imperial Guards and the Highland Light Infantry - these two regiments met at the Battle of Waterloo 1815.